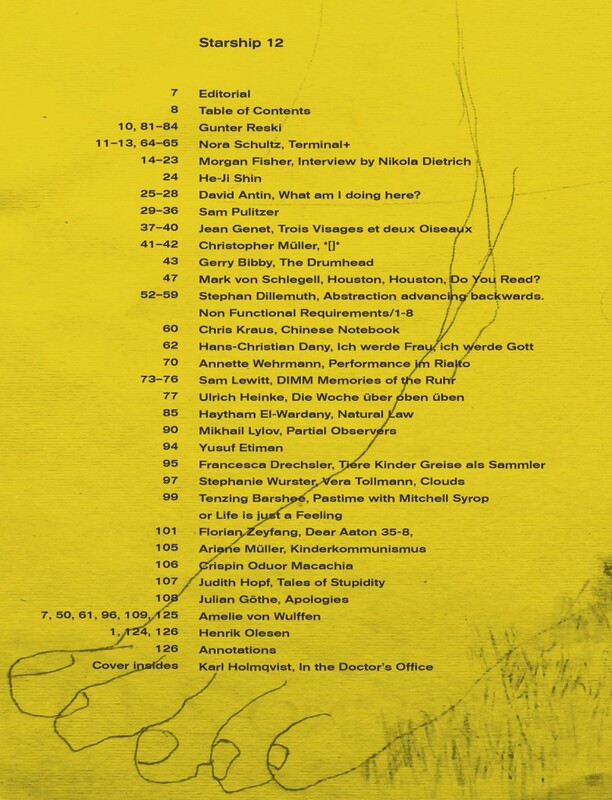 David Antin, What am I doing here? Mark von Schlegell, Houston, Houston, Do You Read? Stephan Dillemuth, Abstraction advancing backwards. Starship 12 is also available via Beckbooks, Geneva. 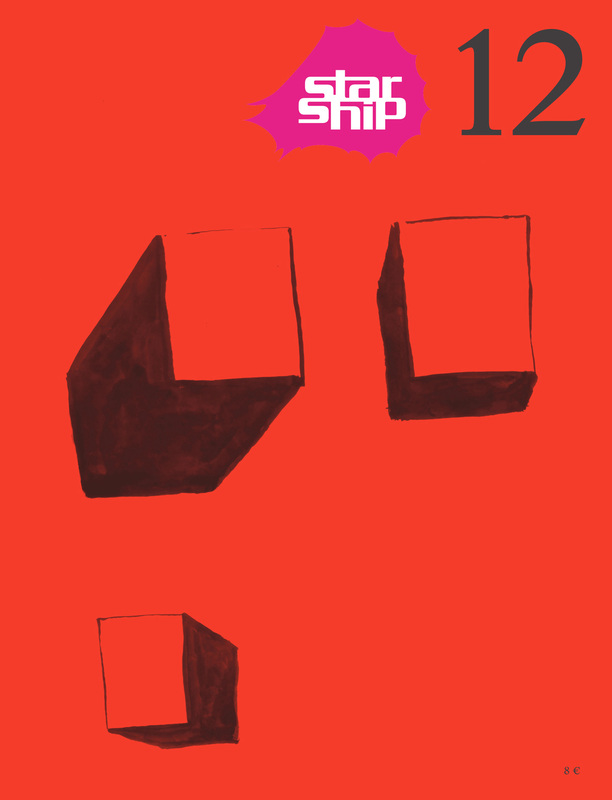 Starship Nº 12 is published by Starship e.V.